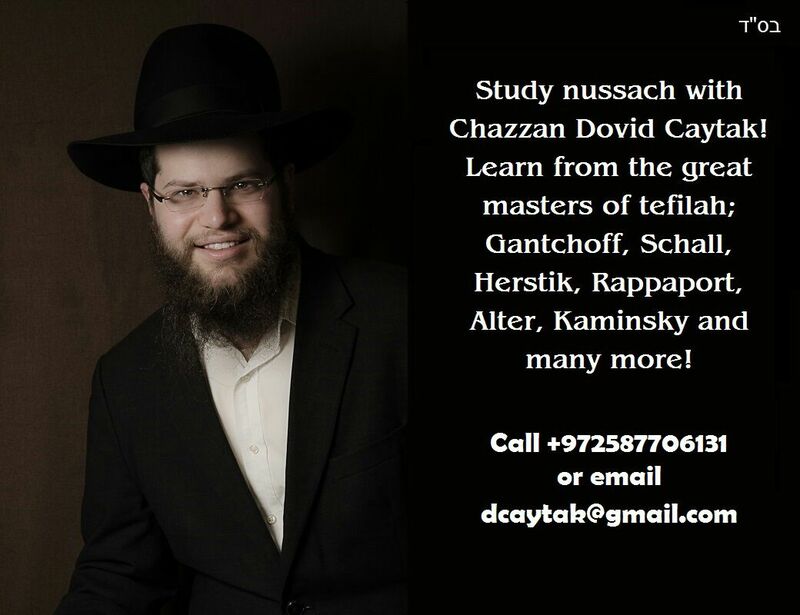 World famous Cantor Naftali Herstik will be leading a cantorial Shabbat with the Tel Aviv Cantorial Institute Choir. 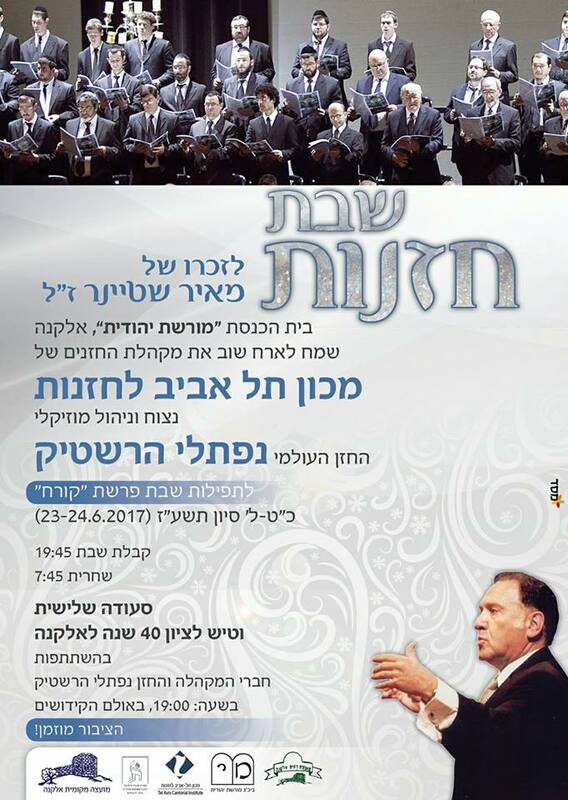 The Services will be taking place in the Moreshet Yehudit synaggue in Elkana, Israel this Shabbat, 23-24th of June, 2017. Prayers on Friday evening will commence at 7:45 PM. 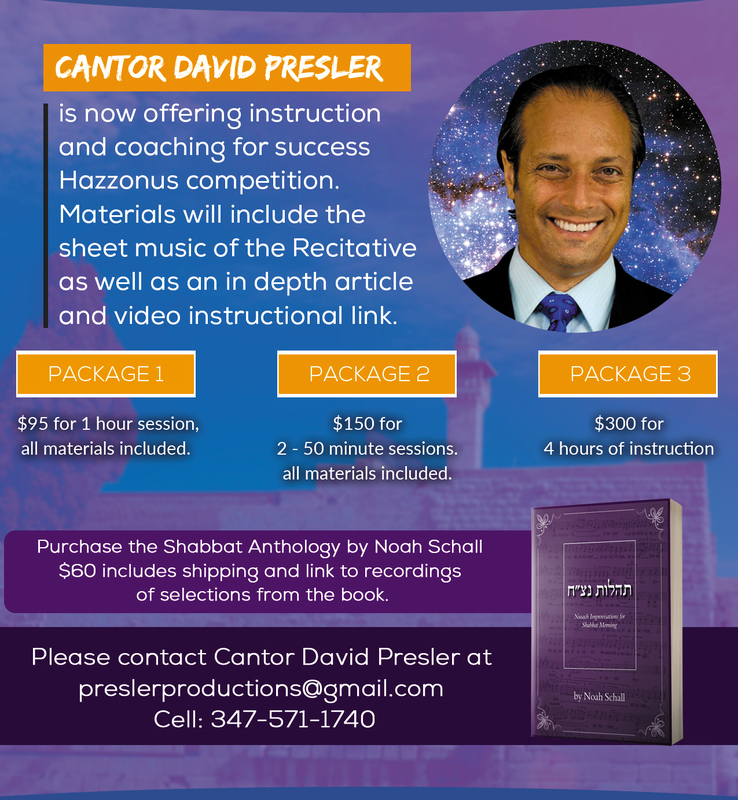 Prayers on Shabbat morning will commence at 7:45 AM.